In order to achieve a certain look or feel to your wedding, it’s a good idea to choose a theme or colour scheme. 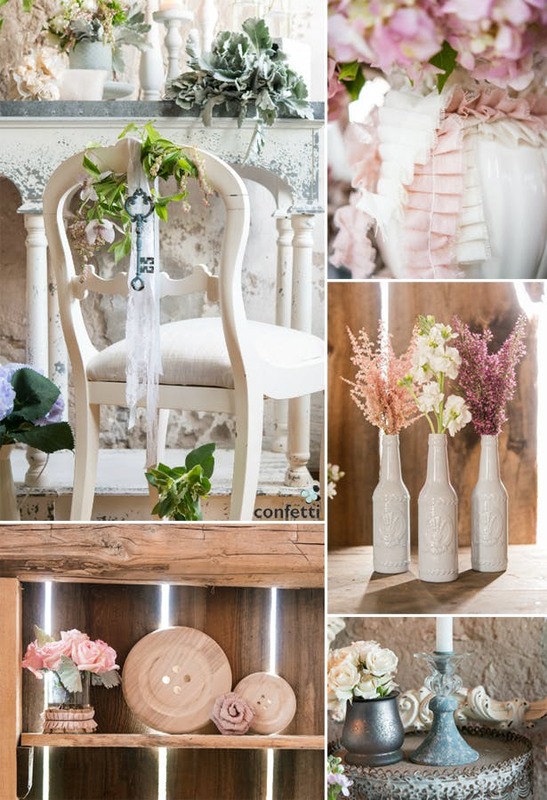 Vintage and shabby chic are two of the most beautiful and most popular wedding themes around. But which is better? 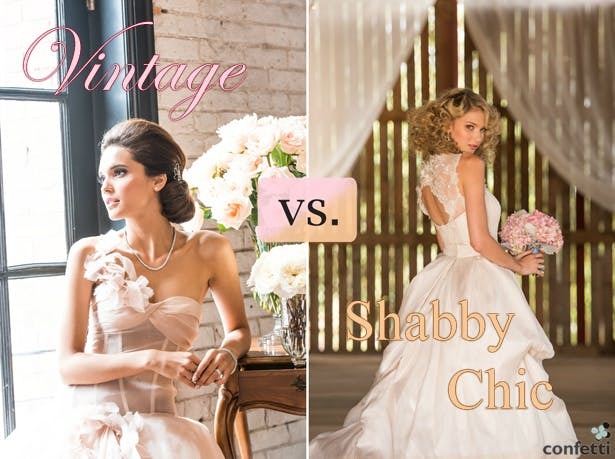 You decide after vintage and shabby chic go head to head in today’s article, Vintage vs. Shabby Chic. Vintage and shabby chic have a lot of things in common, especially regarding fashion. For example, lace wedding dresses work extraordinarily well for both themes, together with pearls, sparkling jewellery, and pretty floral or brooch bouquets. 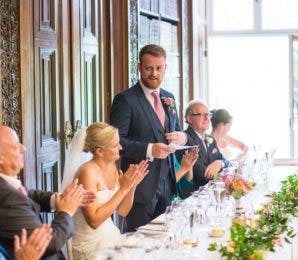 Grooms can opt for traditional tuxes or tweed suits, paired with personalised handkerchiefs or stylish pocket watches. But as similar as vintage and shabby chic are, the differences can make a big difference. Vintage weddings are adored for their traditional white wedding dresses and dapper suits, the antique jewellery and accessories. On the other hand, shabby chic, being almost casual vintage, means you have a lot more options. 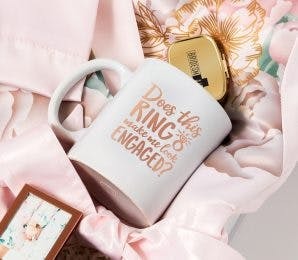 Brides wear any colour of dress—white, or a light blush pink, or another pale pastel shade—and grooms can wear the traditional tux or be a bit bolder by wearing bright coloured suits. 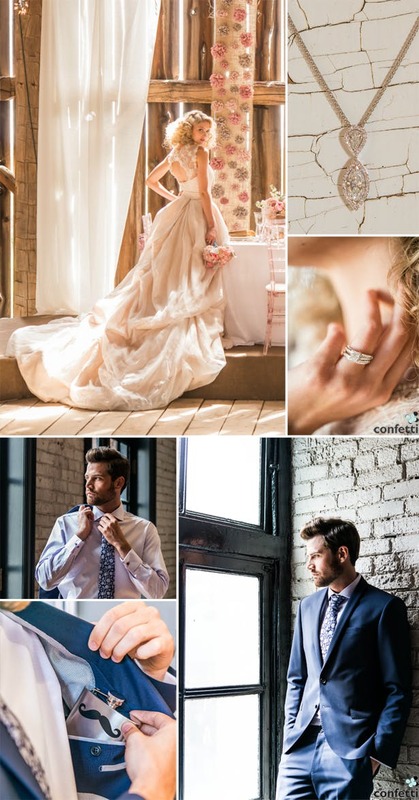 Shop bridalwear and groom and menswear in our directory! 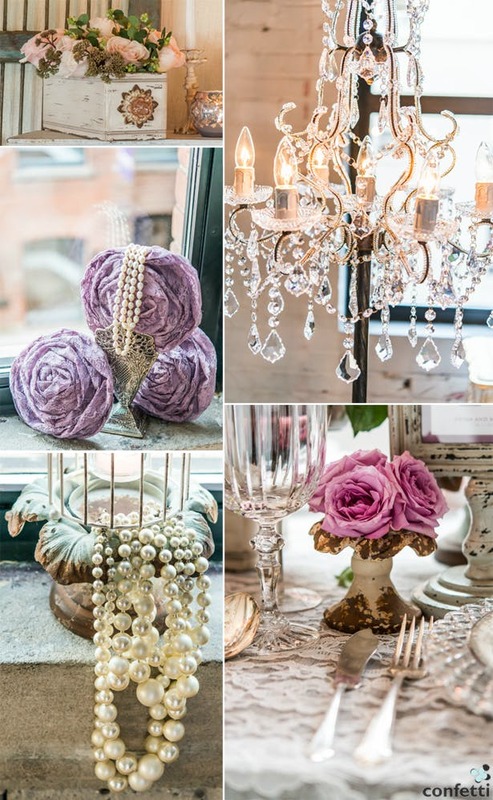 Styling a vintage or shabby chic wedding usually includes lots of pearls, lace, and aged decor like silverware and antiques. Crystals and glass flutes also don’t go amiss, with beautiful floral arrangements as finishing touches. However, vintage weddings tend to be a lot cleaner and tidier than shabby chic weddings. Patterned porcelain and bright, fresh flowers are common decorations, with stylish centrepieces such as candles and candle holders, old books and ornate vases. Furthermore, vintage weddings can be held anywhere, from historic manors to castles, hotels, and gardens. For a shabby chic wedding, nothing has to be completely immaculate. DIY is a very popular option, providing personality and giving something of an imperfect finish. 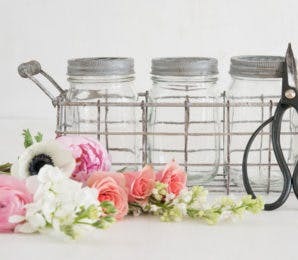 Texture is very important in a shabby chic wedding—burlap, ribbon, twine, and all manner of fabrics can be used to enhance wedding tables and decor. Flowers, while they look stunning when they’re real, can also be artificial or swapped for artificial button or fabric alternatives. The most popular locations for shabby chic weddings are barns and marquees, close to the outdoors. Browse more gorgeous wedding decorations in our shop! 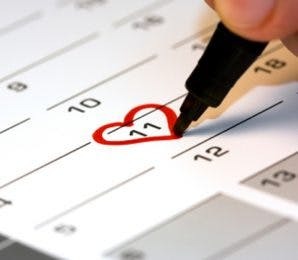 Your wedding stationery is one of the most important aspects of your wedding; the save-the-dates or invitations are often the first your guests will see of it. 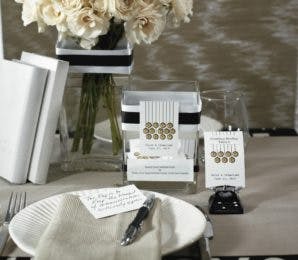 Therefore, you should reflect your chosen wedding theme in your stationery. 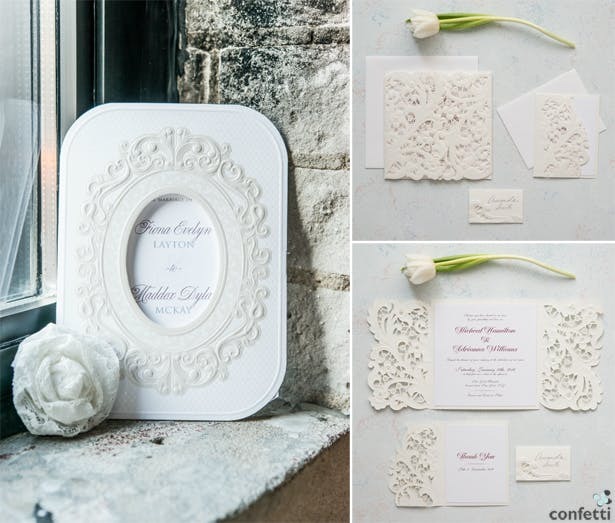 Both vintage and shabby chic style wedding stationery looks wonderful when professionally printed, but what you add or don’t add can determine the final product. Vintage, professionally printed wedding stationery is often good to go as it comes with elegant script and clear-cut lines. However, many couples still add their own personal touch by adding cuttings of lace or ribbon, small artificial pearls, or gems. Again, shabby chic wedding stationery works very well alongside some DIY personalisation. Adding lengths of burlap and patterned fabrics, tied twine, and charms gives a lovely effect, and bright colours are particularly eye catching. Browse wedding stationery collections in our shop! So which theme is your favourite—vintage, or shabby chic? Tell us below!